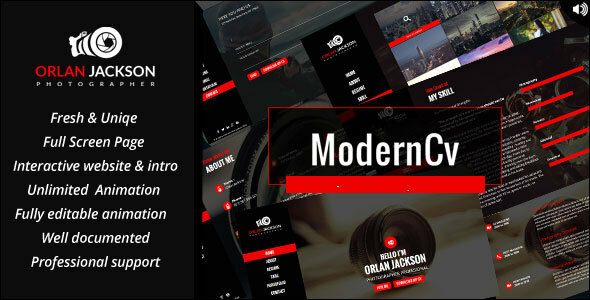 Modern CV is a WordPress interactive Onepage theme, the best solution for introduce your Cv, or your own Business, Modern Cv is minimalis, modern, and responsive design. Feel Free to contact me if you have any questions regarding my Themes/Templates. Iâ€™d be glad to Help.